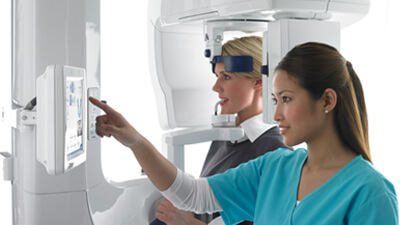 A low level of radiation is emitted to take a very detailed 3D x-ray of your mouth while you lie comfortably in the dental chair. The resulting image is uploaded to a software program to accurately plot where implants will be placed in your mouth. Safe way for the clinician to fully diagnose the condition of your teeth and gums. Allows the team to plan your implant surgery step by step.